Grilled Sweet Potatoes with Rosemary is my summertime solution to our favorite cold weather side dish: Rosemary Sweet Potato Fries. Thanks to convenient little foil packets, there is virtually zero clean-up and the grill adds a smoky char that you simply don’t get from the oven. In theory, I should have a gorgeous backyard garden full of tomatoes, green beans, zucchini and more. In reality, I have four potted herb planters and every day they continue to grow I thank my lucky stars. If only I could garden as well as I can cook. :) These addictive sweet potato wedges taste great on their own or you can kick them up a notch and serve with Sriracha Ketchup dipping sauce. Whatever you do, stay out of the kitchen. It’s far too beautiful outside! Today I am guest posting for my friend Jackie over at CAFE: Celiac & Allergy Friendly Epicurean who invited me to create a gluten free recipe for her readers. Head on over for this incredible recipe – you won’t be sorry! Your fork is waiting. And so is your sriracha ketchup. This looks amazing! It’s also perfect for the weather here, which has been oddly cold even though it’s July and I still want to grill. I’m jealous of your cold weather!! Over 90 today!! Sweet potatoes are a staple in our house..I love that you grilled them! That is so smart! I always just toss them on the grill whole, wrapped in foil..I bet the char adds so much flavor! Doing this next time for sure!! It’s crazy how much char they get through the foil!! Adds so much flavor! I cannot find the recipe for the Grilled Sweet Potatoes and Rosemary in foil pockets???? Hi Deanne, I’m guest posting for Jackie on her blog so the link is at the bottom of the post to her website. Regardless, here’s the link: http://jackieourman.com/?p=2373 Enjoy!! I really appreciate your quick response to my request. I can’t wait to try them, they sound delish! I love sweet potatoes! What a brilliant idea to grill them! Pinning! 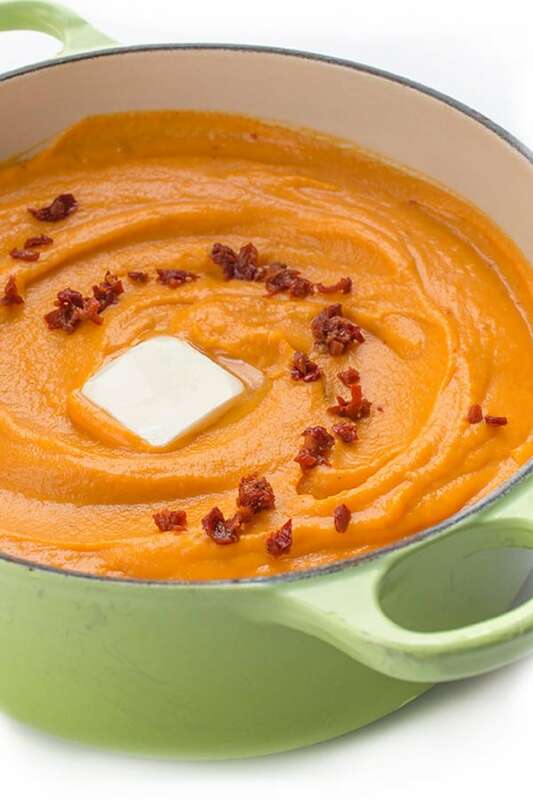 This is a great idea, Liz :) Sweet potatoes are so delicious. haha Wouldn’t that be nice? I’d love tomatoes in my garden!! I love the potatoes! Looks so delicious! I am going to go check out the recipe. Thanks for sharing!! Me too – especially pregnant!! Enjoy Jennifer! I can’t wait to grill sweet potatoes this weekend and experience the heaven that must be Sriracha ketchup! Yes you must try the sriracha ketchup!! To. die! Ohhh Sriracha ketchup! I LOVE sriracha ketchup we use it on everything. Never thought of using it on sweet potato fries. I bet that would cut some of the sweetness that makes me not (gasp) not a huge sweet potato fry fan. These however, look divine! Yes it definitely does balance out the sweetness… I don’t like foods overly sweet either!! I love sweet potatoes! My husband actually got me hooked on them! Headed over to get the recipe now! Oh good – I love that your hubby got you hooked on them!! Mine loves them too. Thank you so much for posting this delicious recipe on my site today! My pleasure – thanks for having me Jackie!! 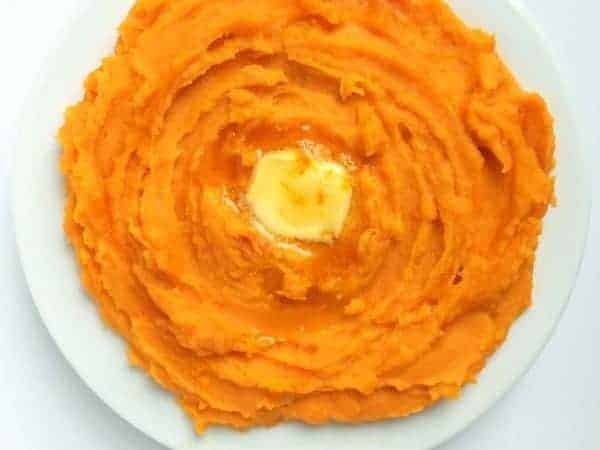 What a great looking sweet potato dish! This looks so delicious and easy, and I love your idea of a Sriracha ketchup… mmm! The spicier the better! Oh man I could bathe in sriracha ketchup!! Oh wow! 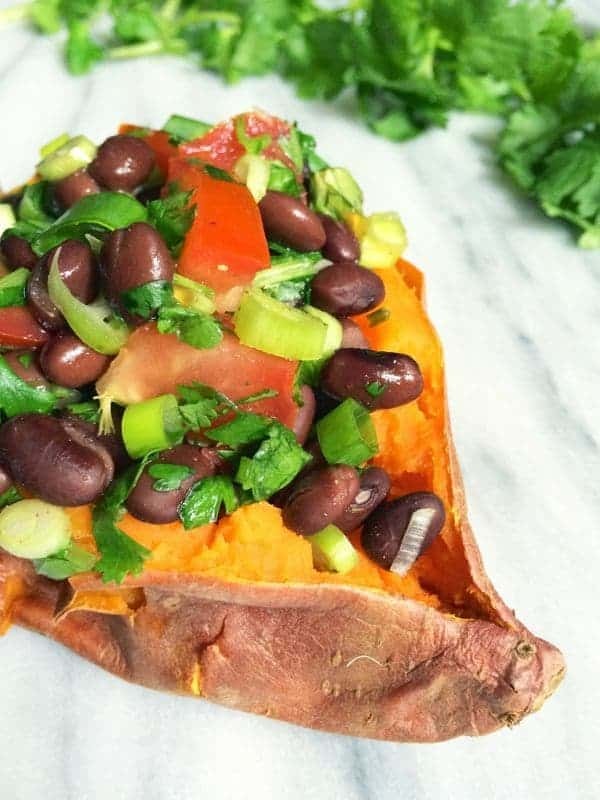 I love sweet potatoes, this recipe is fantastic! Love grilled sweet potatoes! 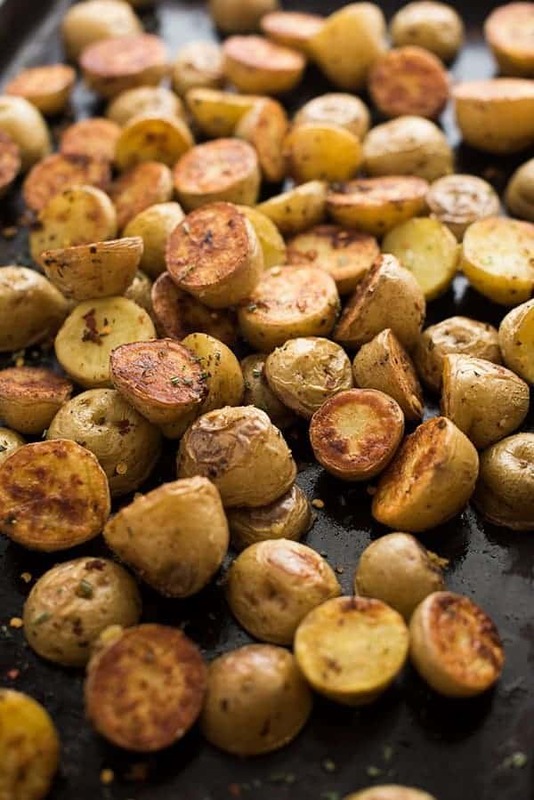 Great idea to season them with rosemary! I always have so much in my garden this time of year!! Never thought of putting these in grill packets with sriracha ketchup…heaven!! Grilled sweet potatoes are truly the best! YUM! I agree!! I love not having anything to clean up afterwards!! I have such a weakness for sweet potato fries (actually great minds think alike…I was just working on a post featuring them last night!) I love the twist with the rosemary and am totally jealous of your garden. Same here!! I could eat pounds and pounds of sweet potato fries – so addictive! !